No matter the economic situation we are in, every year as the end of February approaches, there is liveliness in the air as bar owners, street vendors, and locals prepare for the excitement of Spring Break Season. Floods of college students pour into the hotels throughout Cabo San Lucas eager to spend their days sunbathing, meeting new people, and of course checking out the renowned Cabo nightlife. Nightlife isn’t the only factor bringing travelers to Cabo. This resort town located at the tip of the Baja California peninsula, where the Sea of Cortez meets the Pacific Ocean, is a world-class resort destination known for its fun atmosphere and unparalleled local beauty. Visitors to Cabo can enhance their travel experience by participating in many local activities, from jet skiing, zip-line adventures and ATV tours to stunning restaurants, sunset cruises, VIP tables, and much more. Cabo Spring Breakers decide how they want to spend their vacation. Some choose the more tranquil route by spending their days on Lover’s Beach, strolling along the marina, getting in some retail therapy on Luxury Avenue, or having dinner at one of the dozens of restaurants. Most Spring Breakers like to be where the action is. Some favorite activities to accomplish while in Cabo are: partying on Medano Beach during the day, taking a Sunset Jungle Cruise, enjoying a VIP table experience at one of the hottest clubs, attending a late night Squid Roe party, and of course, the most quintessential: eating a burrito at 4am from mobile street stand, set up outside of Squid Roe. However you decide to spend your time in Cabo, it will be an memorable experience. Want to guest post for All About Cabo? Check out our contribute page for details. Caitlyn is a writer for CaboSpringBreak.com, Cabo’s largest and most experienced Spring Break Company. They provide travelers with upscale, low priced, full-service spring break packages that will make your trip unforgettable.CSB has flexible Spring Break packages that will fit any style and budget, and when it comes to planning, they leave no stone unturned. Whether it’s airport transfers, all-inclusive meal and drink plans, activity reservations, or VIP tables, CSB does the work so you can get busy enjoying your vacation. 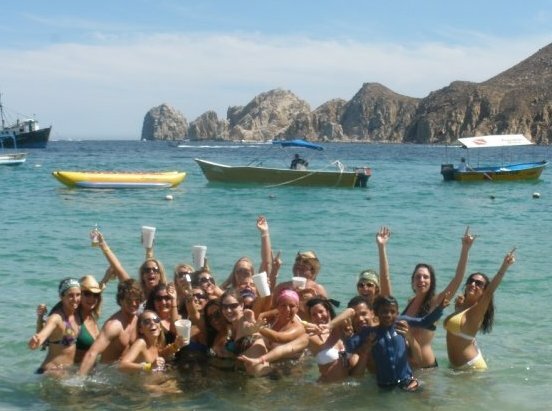 With over 19 years of experience in Cabo, they are your #1 resource when it comes to spring break. 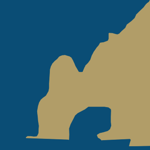 Follow CaboSpringBreak on Twitter “Like” their Facebook page; and visit CaboSpringBreak for 2011 spring break packages.